ATS specialises in designing, developing and servicing remote camps, including catering, cleaning, accommodation and camp management across the life-cycle of your operation. We have vast experience in managing the transition through all phases: from exploration through construction and into full production. You give us GPS co-ordinates – we provide a fully operational site, built to your specifications. We have a full-service capability, global standards of health and safety, security and remote IT systems that keep you connected wherever you are at a competitive price, and develop and integrate local suppliers into our supply chain, leaving a lasting legacy of community upliftment. We are forward thinking, forward moving and always make a plan, no matter what. 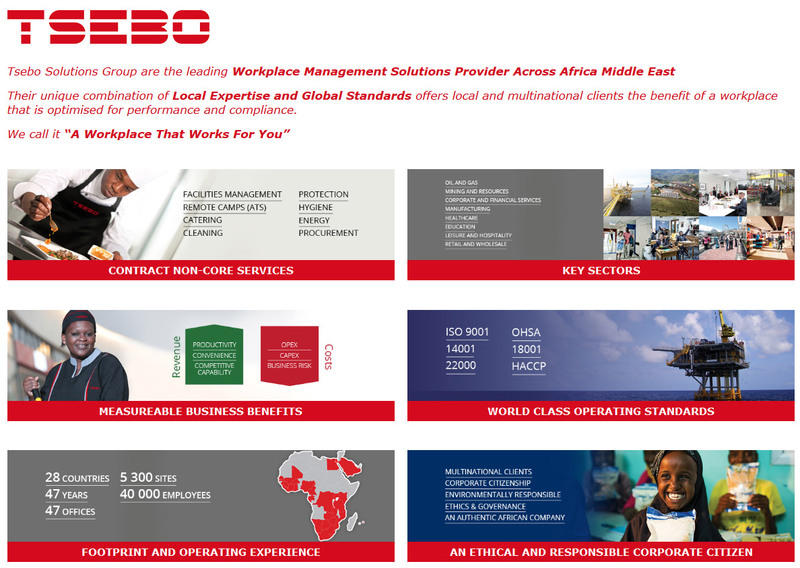 All this ensure we deliver value, productivity, sustainability, and employee morale – anywhere in Africa. COMMERCIAL CATERING – Nobody better understands that great food is critical to your success than ATS. Our “Smart Menu” design balances nutritional meals with homely treats tailored to suit the specific menu requirements of our client. CAMP CONSTRUCTION: – With our extensive construction partners and Camp supplier network, ATS offers the best solution for your camp and building construction requirements. Whether canvas, containerized, prefabricated or cement, ATS is available in providing advice as and when needed. MAINTENANCE – ATS provides full facilities maintenance for remote camps including, general, building, preventative, corrective and curative maintenance. CLEANING SERVICES – We provide high quality remote camp cleaning services and our cleaning division is one of the fastest growing in Africa. ATS combines technological innovation and old-fashioned hard work throughout our operations across the continent.We believe that a clean working and living environment is a right that everyone deserves. Our housekeeping services are second to none and we are proud of the hygiene standards in our camps. Using green-certified and environmentally friendly chemicals we reduce direct pollution and drive innovation to create improved processes, reducing water usage and packaging waste. GROUNDS KEEPING, GARDENING AND LANDSCAPING We design, install and maintain gardens and exterior environments at remote camps, providing aesthetically appealing areas that promote the wellbeing of employees and give visitors a favourable image of your operations. ENERGY OPTIMISATION – ATS will help you to optimise the energy use on your remote camp through an integrated set of solutions that reduce costs and CO2 emissions. We offer an end-to-end solution that provides insight and understanding of consumption, with practical solutions to target and eliminate unnecessary expenditure. SECURITY SERVICES – Using the latest technology and well trained staff, ATS provides the safest guarding and access control systems for remote camps as well as executive security and protection.We operate via a linear structure that empowers key people to make vital decisions, alleviating the massive operational hierarchies normally associated with guarding operations. SUPPLY CHAIN SOLUTIONS – With over 16 years’ experience in Africa, we have developed an extensive international supply chain with the capacity to negotiate and source great supply deals on behalf of our clients thereby getting them value for their money. Product selection, storage, packaging and transportation are all key to catering for remote sites. Our supply chain management process has been designed to integrate with camp management to ensure that demand and supply signals are transmitted between camps, central procurement teams and supply partners. This allows for flexibility, agility and a faster turnaround time. Our procurement teams are based both on and offshore, ensuring that the best quality materials are obtained at optimum costs and meet local and international standards. Priority is given to local suppliers and training is provided to ensure the highest quality standards. ATS’s procurement practices are governed by a well-communicated procurement policy. We own and operate a fleet of trucks to transport dry goods, cleaning materials and frozen food. ATS provides a full turnkey solution; design, procure, construct and furnish your camps anywhere in Africa. We give expert advise on location, utilities and construction of tented camps, fixed or mobile hard camps or permanent structures. We offer a full Engineering, Procurement and Construction Management (EPCM) service. Our site mobilisation experts take into account the availability of water, power, security as well as long-term weather considerations.